Rapid Fill is compressed air operated, simple to operate and maintain granule loaders for plastic industry. 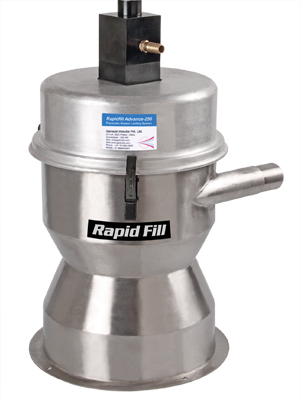 Rapid Fill is rugged, simple to operate timer based vacuum hopper loading system. It is low cost and practically zero maintenance and zero down time. Special features are SS construction, zero maintenace, zero down time, simple operator friendly timer based operation, hopper on hopper design. How to install hopper loader? Just like any other hopper loader, it can be installed on hopper lid or lid of hopper drier. Is there any over fill protection? 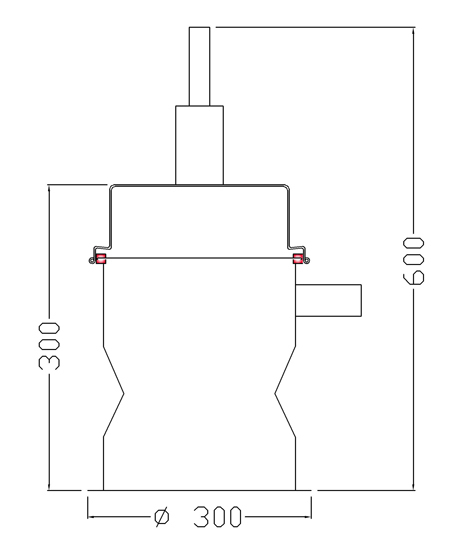 Rapid fill is provided with 2 filters. Internal SS mesh and outside non woven PP fabric. Because of construction, overfill is not possible. In case of reduced demand, hopper loader will keep on operating pump but conveying will not take place. How much air is consumed? Shipping weight of complete system includes loader, timer controller, hose and suction wand is just 14 kilograms. Low cost of ownership and operation. Reliable, timer based operation. Good for single granules. Hopper on Hopper type. Can be fitted on hopper lid or hopper drier.